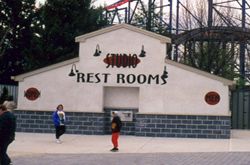 The 1998 season at Six Flags Great Adventure was very similar to the 1997 season at least from a rides perspective. 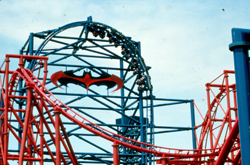 After a lengthy delay which lasted for almost a year, Batman and Robin The Chiller finally opened to guests, but other than that there were no other changes to the park's ride lineup. 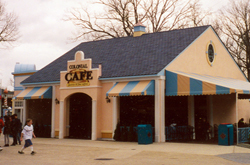 The Colonial Cafe was constructed on the former site of Paul Revere's Hats next to the fountain. The new counter service facility offered guests pastries and coffees which proved to be very popular especially during the morning hours. 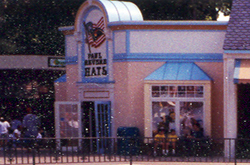 An adjacent merchandise location to the left of the cafe was also constructed and assumed the same name of the Paul Revere's Hats which it replaced. 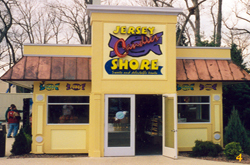 Elsewhere, Jersey Shore Candies transformed the Cookie Shoppe into a walk in candy store and an additional restroom facility was built between the Studio 28 Arcade and the Justice League Headquarters store in Movie Town. 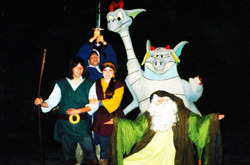 New entertainment offerings included the Warner Bros. inspired Quest for Camelot Nights presented on the Great Lake. The show was the "largest nightly fireworks and multi-media production in the East" making use of costumed characters, live actors, and water screen technologies. 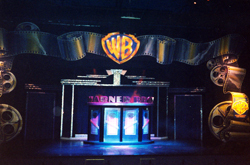 Warner Bros. 75th Anniversary stage show was performed at the Showcase Theatre, Warner Bros. Kids Club at the Bugs Bunny Land Theater, and the Lethal Weapon Water Stunt Spectacular and Batman Forever Stunt Show at the Great Lake Grandstand and Movie Town Stunt Arena respectively. For the first time, Six Flags Great Adventure offered five major Warne Bros. related shows. Ironically, during the 1998 season ownership of the entire Six Flags chain of parks changed hands from Time Warner Entertainment to Premier Parks of Oklahoma City, Oklahoma. While ongoing agreements included the continued use of select Warner Bros. characters, it was evident that influence of the Hollywood studio's movie inspired tie-ins would be less of a focus going forward. Once again there was new owner in town and for the upcoming 1999 season they had one thing primarily on their minds. Rides. Lots and lots of rides!